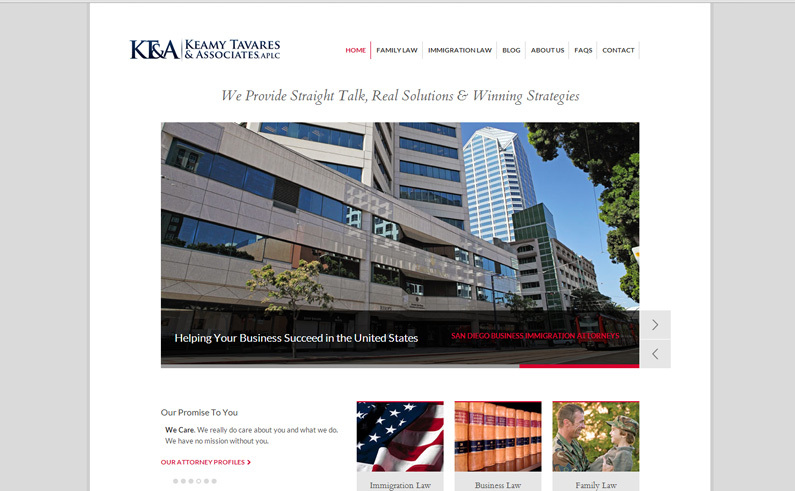 Keamy Tavares & Associates, San Diego immigration & family law attorneys, hired Riverine to update their website and launch a more comprehensive web presence aimed at attracting clients seeking an E2 visa lawyer. Design & development of new WordPress website using fully responsive theme. Creation & optimization of social media profiles on Google+, Facebook, & Twitter.